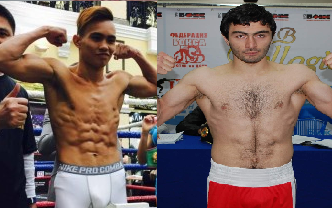 Rimar Metuda of the Philippines is set to face theu undefeated Russian on December 15, 2016 in Russia for the vacant IBF Youth super featherweight title. Metuda is a 22 years old boxing prospect from Cagayan de Oro City, Misamis Oriental, Philippines. He has a record consisting of 10 wins including 5 wins by way of KO and has only 1 defeat. Metuda only lost to Russian Mirzhan Zhaksylykov via unanimous decision last September 2016 for the vacant WBC Asian Boxing Council Silver super featherweight title. On the other hand, Isa Chaniev is an undefeated boxer with the record consisting of 9 wins including 5 victories by way of KO. He is only 24 years old from Yandere, Russia. He is a hard-hitting boxer and won his last fight via decisive unanimous decision over Ilya Reutski last month.